I’ve started today’s broadcast about 30 minutes early, having arrived at the station and found that nobody is currently broadcasting. No sense having dead air, right? I enjoy starting off with a single long work; today I am beginning “It’s Too Damn Early” with ‘O’ and Moon’s “MoonOphonique Part II,” a limited-edition mini-cdr from Lona Records. The other mini-cdr is on Burning Emptiness, a copy of which should arrive soon. Expect to see an interview with Yann of ‘O’ in the coming week as well! 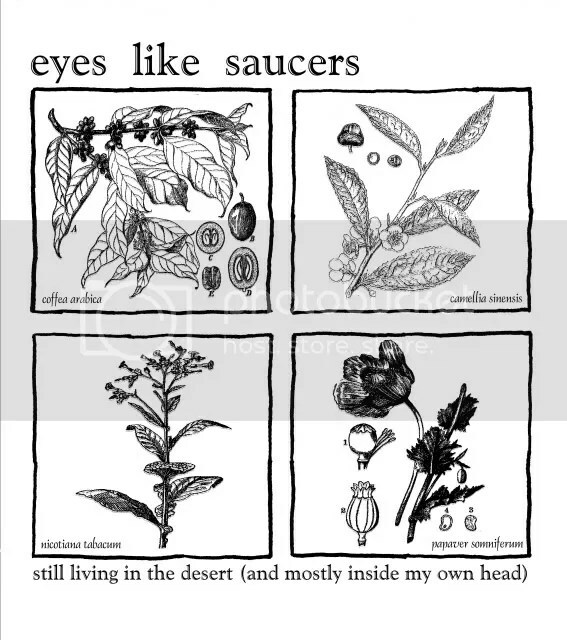 I wrote a lot of reviews yesterday, one of which was for Jeff Knoch’s Eyes Like Saucers disc “Still Living in the Desert,” which I have been enjoying. It will be out very soon on Last Visible Dog Records. Here’s a couple tracks for all you lovely radio listeners. I just realized that I somehow forgot my Transhumans disc, “Into the Maelstrom,” at home. How has this happened? Next week, I will make it up to you, I promise. Tell you what– how about I play some new stuff from the Hymns label? At least, I think this is a Hymns label release… there is some definite confusion on my end, too many aliases, side projects, and split releases have injured my cranium. No, this seems to be an Isle of Man release. I need to make contact, obviously– the confusion must end! Nitpicking issues aside, I’ve got a Gaybomb/Zack Kouns split LP, so I’ll start with the Gaybomb side and go from there. This album is like lock groove crack– completely repetitive dada weirdness. Obviously, I’m enjoying it! Then again, I can’t resist messing with things. A little blending going on now… two LPs battling for air. The Occasional Detroit Gaybomb split emerges as the victor, “Check 1-2,” what a strange track. To be fair, they’re all strange tracks. It’s their complete insistence on being themselves that makes listening a compelling experience, though. Dig this Zack Kouns side: part whispered song-poem, part reverberant percussive muttering, bathed in tape and microphone noise. Hmm.. I may have to play some ACTUAL Hymns stuff later! Not now, though. I really want to get this Shelf Life disc “Ductworks,” on the air, even if it means having to put these Mavis-Beacon-Teaches-Typing titles in my playlist. This is a good album, especially with the lights down low, stretching into morning time… ah, another gray Southern Illinois dawn, ugh. Now I fade you into Ironing’s “Pocket Almanac,” a “live” set already in progress… This is actually a recording of a live Ironing performance 10/20/06 at Pocket Sandwich, opening for Nautical Almanac. Being Ironing, it naturally contains numerous shreds of microcassette abuse, samples from previous releases and shows, and an unhealthy dose of magnetic radiation. This is actually quite a noisy Ironing disc, loads of distortion permeate the recording, parting only for the rumble of over-amplified cassettes moving at slow speed and the occasional Southern-style bass thump. Update: This show is now available for download. Normally, I don’t edit shows, but I felt uncomfortable providing a recording of the entire ‘O’/Moon album, so I snipped off the beginning. As always, I do not intend for this download to be a substitute for purchasing albums from the artists or labels listed here. If you require any assistance locating an album or label, let me know. Marco Oppedisano — Three Short Electronic Pieces: What’s That Noise? Marco Oppedisano — Three Short Electronic Pieces: Did You Hear That? I have a personal, internal ‘language’ that I mentally use to understand and categorize music. One of my ideas is about the “dynamic” of instruments– the thing that makes three bands playing guitar/bass/drums into rock, country, and jazz outfits. 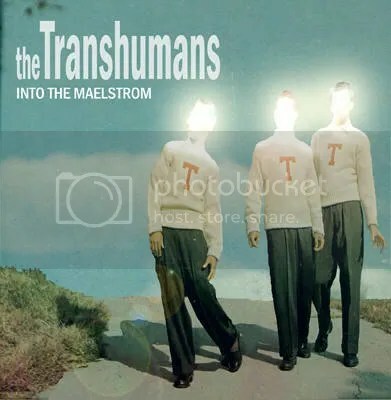 I’ve long been interested in groups that play with this dynamic is some new way, so I was pleased to hear The Transhumans “Into the Maelstrom,” recently released on the pfMentum label. I’ll admit, there aren’t a lot of established dynamic structures for trios consisting of electronics and drums, but there are still many unexpected surprises. For me, the biggie was Bob Sterling’s drumming. With synth/sampler players Justin Cassidy and Patrick Rodriguez presenting a complex miasma of field recordings, liquid tones, and clatter; Sterling’s drums are surely left with little to propel. To my ears, it sounds as though Sterling rises above this, taking more of a leading role. In lesser hands, this might be disasterous, but Sterling proves to be a drummer worthy of his surname. There’s a lot of jazz influence here, but it’s more of a jumping-off point, and certainly doesn’t reduce this simply. But enough about the drumming; I need to tell you about this disc. It’s difficult to listen to, and I mean that in the most real way possible. “Into the Maelstrom” does what very, very few albums manage to do, and that’s truly affect the listener. Sure, there are a huge number of releases that can make you dance or shed a couple tears– but how many can you actually say really made you tense, exhausted, or relieved to find pause? How many times have you ever realized you were holding your breath while listening? This is what it’s like to go into the maelstrom. Either my basic humanity is very much suspect, or The Transhumans are onto something phenomenal with this release. In my opinion, the only thing working against it is the cover art, which completely fails to convey any sense of the incredible music within. Former Urdog organist Jeff Knoch draws out a series of introspective harmonium-based contemplations on “Still Living in the Desert (and mostly in my own head), a Last Visible Dog Records release for his solo Eyes Like Saucers project. At times Knoch’s purposely simplistic and childlike approach can be grating, especially on “Sea Song,” a track that alone recalls the ‘talent’ of Wesley Willis. However, gorgeous work like “Delusion of Reference,” and the album’s title cut more than compensate– and I have the suspicion that within a few more listens, the purpose of the more simplistic tracks will reveal itself. “Still Living in the Desert,” in many ways, requires listeners to slow down quite a bit– while Knoch’s insistent playing can be forceful, it seems more focused on the pulse and breath of the harmonium than on any sort of keyboard flash. Often Knoch will repeat a short looping phrase, mutating it ever so slightly; by design or embraced accident, it is difficult to tell. “Numinosity” is a good example of this structure, mostly maintaining a small figure for around 7 minutes, and exploring variants of it along the way. By album’s end, Knoch finally notices his ‘audience’ in “Desert Song” and calls to listeners, “meet me on the desert shore.” Part carnival, part inner conscience, it’s a fine ending to the album. Overall, the sound of this disc is very nice. Being able to hear the air noise of the harmonium is essential, so anything less would have created a dramatically different listening experience. While not exactly an experimental album, I am enjoying Knoch’s individual take on an instrument I would have previously thought to have had a rather limited capacity for expression. Knoch is on tour right now, btw– here’s some dates. There are more at his site. 7/27 – Catalyst Infoshop, Prescott, AZ, with Adam Frumhoff. 7/28 – Macy’s Coffee House (afternoon show), Flagstaff, AZ, with Adam Frumhoff. 7/28 – house show?, Flagstaff, AZ, with Adam Frumhoff. 7/30 – KXLU-FM, los angeles, CA. 7/30 – Echo Curio, Echo Park, CA, with Fantastic Ego, Sleepwalkers Local 242. 8/01 – Aquarius Records, in-store performance (5 pm), San Francisco. 8/01 – Hemlock Tavern, San Francisco, with Wooden Shjips, Appreciation. Ever since I was little, I have enjoyed taking my picture at photobooths, as well as seeing the photos that others have taken. Every so often, I’d find a lost photo, and add it to my informal collection of random odd photographs. After seeing the film “Le Fabuleux Destin d’Amélie Poulain,” which featured a character who collects photobooth pictures, I started looking at these photos in a new way. I was surprised to see how frequently I could find discarded photos, given the tiniest of efforts at checking my local booths. I’d been wanting to put these online for a while now, but was not looking forward to the repetitive scanning and re-sizing this would entail. Regardless, here they are! The first seven sets are obviously my photobooth owner, who takes these pictures while maintaining the machine. He is aware that I collect his photos, and will occasionally provide me with a particularly interesting one he has found by slipping it into the side of the machine for me to grab later on. He also has a terrific collection of photos, mainly of girls flirting with the camera– the best of these often end up under the plexiglass cover of the photobooth itself– a sort of shrine to college girls willing to fondle each other, or “kiss” the camera. 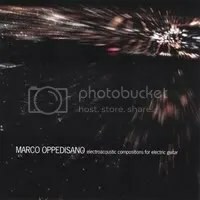 Marco Oppedisano’s “Electroacoustic Compositions for Electric Guitar” is another smart set of program music from OKS Recordings of North America, thankfully delivering compositions far more imaginative than the rather plain title indicates. Covering works composed between 1999 and 2005, this disc is an excellent introduction to the artist, and is especially enjoyable for its limited sound sourcing– knowing that all the sounds (save a few vocal samples in one track) arise from electric guitar and bass makes the electroacoustic nature of these works more apparent, and gives rise to interesting thoughts about how such sounds were realized. Oppedisano gives a great assist to listeners as he demonstrates his ability to generate an extremely broad range of sounds from his instrument, from sonorous aquatic bells to swarming clouds of electronic chirping. I also detect more than a little thrash spirit in Oppedisano, who drops some mutilated riffs into the heart of “The End Is Near,” alongside laser blasts, robot terror noises, and a tickling finish. Then again, the Dante-inspired “Eternal Lovers” wouldn’t be terribly out of place for fans of Brian Eno or Alan Licht, with its annular tone and choral washes. Overall, “Electroacoustic Compositions for Electric Guitar” is well-produced, and mostly flows well from one composition to another. As each work seems to have been produced separately, I’d prefer them to be arranged chronologically, but this is a minor flaw easily correctable with a blank disc and a burner should I run out of anything else to do! I’ve occasionally thought of Fire Museum Records as being somewhat hit-or-miss. Their obvious passion for releasing numerous odd or challenging albums, combined with my notorious ability to be picky, will surely result in a few unpleasant collisions. Still, Fire Museum has more than earned my attention with bold risk-taking; and when something goes right, it’s terrific. A case in point– Pulga’s “Pulga Loves You,” a surprisingly stately turn of electroacoustics for two musicians usually associated with the generally-aimless “free folk” camp; the nebulous (and somewhat undefinable) movement fully capable of turning out great work, but often simply flooding listeners with sub-par limited edition discs. “Pulga Loves You” not only builds on the successes of free folk, but transcends it in many ways, with a fully-realized album; densely layered, richly dynamic, and very much worth listeners’ time to experience it over and over again. Listen to “Tequila Feast” with headphones and see if you don’t agree. It starts with a slow wash of electronic drone, to which bells and jangly strings are gradually revealed. The hint of a drum beat surfaces, with video game noises surfacing to herald the arrival of– you’ll never guess it– something almost like afrobeat and drone, all at once. It’s a really tremendous moment, made all the more fascinating by Pulga’s casual transition to other sounds, and another track. “Raga Pulga” is the real highlight here, though. At nearly 19 minutes, it is double the length of any other track on the disc, and makes the most of every minute. Equal parts Edgard Varese, John Zorn, and Edward Ruchalski; “Raga Pulga” moves with the calm confidence found in much older musicians. Personally, I’d chalk it up to the yeoman-like work ethic of these two– Vanessa Niwi Rossetto often has interesting new works posted to her site each day, while Valerio Cosi’s discography reads like an Aquarius Records catalog. As further demonstration of Rossetto and Cosi’s abilities, “Pulga Loves You” was apparently constructed by mail– a collaboration between Texas and Taranto. On a more technical side, the sound quality of this disc is quite good. Whatever challenges collaborating over great distances may have presented, Pulga seems to have overcome, with mastering by Cosi that deftly handles large amounts of sound sources without become muddy. In fact, this is a fine album for headphone listening, which makes some of the ultra-slow fade-ins even more enjoyable. Here’s a weird one for you– Bryan Day and Luke Polipnick on an uncredited, somewhat secretive un-Public Eysore release; complete with spasms of flayed drums, random miniature clockwork noises, and Tom-Waits-channeling-Yamantaka-Eye vocals. Like many of Day’s collaborations, listeners are more or less required to meet the music on it’s own terms; those expecting Nagaoag to greet them halfway will be sorely disappointed. Indeed, even for experienced listeners, there is precious little to prop one’s self up with. The code-like boxes covering the entire of the inside cover mimic liner notes, inviting the curious to give up more than a moment in fruitless study. Although I don’t think the voice additions always work on “Yama Labam A,” I’m highly impressed to find them at all. It is obvious that extended or avant-leaning vocals are a tremendously difficult and challenging medium, especially when used as a major element in a long work. This took guts, and should be commended, especially in an experimental format where a certain amount of mistakes or failure is to be expected. “Ductworks” finds Public Eyesore Records honcho Bryan Day with collaborators Alex Boardman, Joseph Jaros, and Jay Schleidt; working in a truly egalitarian manner to fashion an effortlessly unruffled recording. Unfortunately, the somewhat calm nature of the disc may turn off casual listeners. Pay attention, you suckers– it is for exactly this quality that I can declare “Ductworks” a real success. Let’s face it, improvisational music sometimes hits a few ‘behavioral lock grooves,’ where its an open secret that what is occurring sounds like improv, but is really a re-hash of What Worked Before. Even the overall tone of a performance can fall prey to this sort of repetition– proceeding from quiet to loud everytime, working to create a “dark” sound time and time again… it’s cheating the improv spirit, and it is my opinion that this makes it even more difficult to appreciate some real improv when you come across it. Of course, I’m thinking of “Ductworks” as I write this. No, it doesn’t seem to have an overarching theme. No, it’s not a showy display of dramatic guitar runs or sax blowing. So why listen? For starters, check how fully these musicians explore their instruments! I’m not sure of everything that’s being played, but I can assure you that whatever it is, it’s being squeezed for the last drop of sound available! It’s also very enjoyable to hear such a ‘real’ album– listeners will easily be able to place themselves within the performance, which is strikingly immediate without being at all in your face. Recommended. I decided to start today’s show with a long piece from the Timeless Pulse Quintet, from their self-titled Mutable Music release. This is really terrific music, full of subtleties, completely the product of confident and experienced improvising musicians. It occurs to me that the line-up of… well, older folks on the back cover just wouldn’t be possible on a popular music release. Frankly, unless you’re a blues musician, musical prospects seem fairly bleak for anyone over 30. How strange it is that so much music shuns the contributions of its elders? I’m glad this isn’t the case with the music I enjoy– where Pauline Oliveros and Reynols exist on the same album, Robert Ashley’s latest release in hand can cause me to run to the stereo, and Jandek is practically a rock star. Next up is Shelf Life, with the album “Ductworks.” Typing out the letter-jumble titles for the blog is like being in touch-typing class, but I struggle through for you, dear reader. Be sure to read my review of “Ductworks,” posted a few hours earlier… I sure hope everyone is enjoying these tracks, because I’ve run over my time for underwriting to let you listen to them. Gotta be flexible, I suppose. I have to admit that I’m not as ‘into’ this A_Dontigny album, “Geisteswissenschaften,” as much as some of his stuff I’ve heard in the past. Still, there is a lot going on that is interesting– the production is fantastic, and I’m enjoying some of the smaller sounds. On the other hand, this is one of the guys from Napalm Jazz (and morceaux_de_machines, one of my all-time favorites!!) and I can’t help but see this relatively tame album as something of a step backwards. I’m hoping this is just me in an odd mood, because I really want to like this one! Next up the top five winning entries from the Canadian Electroacoustic Community’s “Jeu de Temps” 2007 competition. I have a little more written about this at an earlier entry, which also has links to mp3 versions of each of the compositions. Just so you know, I’m playing them starting from fifth place, and counting up to number one– just like a strange version of Casey Kasem, haha. 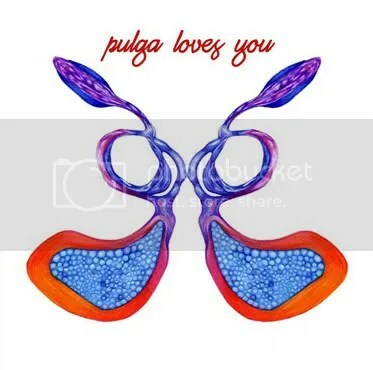 And hey– Fire Museum Records sent the new Pulga disc, “Pulga Loves You,” the work of a couple of my online pals, Vanessa Rossetto and Valerio Cosi. This is a really enjoyable album– familiar in some spots, but mostly taking sounds in a unique direction. With such a well thought-out flow to the album, it’s a shame I only had time for two tracks this week! Perhaps next week, I’ll see about getting a couple more on for you to hear, eh? Here’s a task for you: out-dub King Tubby. Can’t be done, you say? You haven’t heard Krapp’s “Fubars King Tubby” EP, where the dub master himself is sole sample contributor to dub/noise/collage re-imaginings of his work. These aren’t straight remixes by any means; they function more as aural musings on the relation of his technique and innovations as they relate to contemporary experimental work– and yes, it sounds good. Speaking of contemporary experimental work, Rothkamm’s “FB03” is out, a strong final piece in the “FB0-” triptych. Rothkamm; ultramodern, hyper-futurist that he is, hasn’t stopped being able to leave my jaw on the floor, agape with wonder at the intricacy and otherworldliness of his music. It’s been said that a sufficiently advanced technology would appear to be magic to lesser creatures– a statement along those lines is applicable here. I have an older, but still very readable, interview with Rothkamm here. 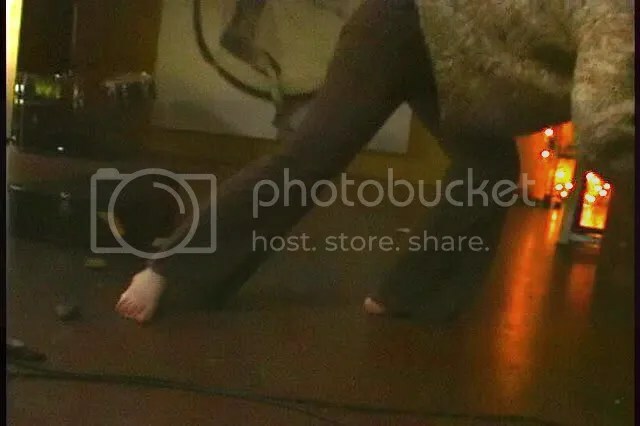 I finished off the last few minutes of the show with a quick blast from The Painful Leg Injuries, who have a nifty little mini-cdr, “The Quicker Are the Encumbered,” out on Lona Records, a Hong-Kong based label. As always, you have to love the titles of their work– though it must have been hard to fit them all on the mini-cdr cover. Next week, I plan to showcase some more Lona Records material– including one from long-time DaveX favorites O and DDN! As you can guess, I’m incredibly excited about this. I will be broadcasting this year’s winners during my upcoming show on 7/21. I may also play a selection of past year’s winners. Until then, here is a list of the top five entries. If you can’t wait until then, feel free to click the entries– they’re all mp3s! CKUT-FM 90.3 in Montreal should have the “official” broadcast of these works if it hasn’t happened already. I didn’t see it last week, so I’m guessing it may happen today. (9 to 11 a.m. EST) Of course, they get to interview the winners personally… poor me, so far away in Southern Illinois! Update: The CEC informed me today that the “official” broadcast of the winning entries, and appearances by each composer will take place on September 12. Let’s be unofficial together this 7/21, shall we? I’m issuing a call for submissions of new 30-second promos for “It’s Too Damn Early.” Other than the length, and a few key points of information, I’m leaving the rest of the content up to you. At some point in time, the submitter must clearly state, “It’s Too Damn Early features experimental music each week, from 4 to 6:30 a.m., Saturday mornings on WDBX ninety-one point one FM.” Promos also need to be 30 seconds in length; no more, no less. My plan is to use as many submitted promos that I like. If you follow all the rules, and I don’t use your promo, you may go through a lengthy and expensive appeals process entirely of my own design. Bonus points go to submitters who identify themselves during the recording. Submissions can be mailed to my standard postal address, or I will download your mp3 promo if you provide me a link. Promos attached to e-mail will be deleted with glee. Two more Archie Jesus freak comics! As STARTLING MONIKER readers are probably aware, I’m an Archie comic fan. The total lack of continuity, the haphazard mixtures of old and new material in the digests, and the often-bizarre slang made up by the writers has always entertained me. I’m sure it also helps that I know practically nothing about comics. Still, for someone who likes life open-ended and full of possibility; there’s no place quite like Riverdale– it has multiple mountain ranges, oceans, world-class museums, a zoo, a desert, snowy winters, mad scientists, multi-millionaire yacht clubs, a handful of swamps, and one high school full of crazy kids. I started this show about 15 minutes early, giving the previous host enough time to clock back in at his job– see? My radio station has very committed DJs! Anyhow, I decided to put some of Agusti Martinez’s solo album “Are Spirits What I Hear?” on. This is a very solid release from Etude Records, and certainly one to grow on. Martinez’s solo saxophone explorations don’t give up their secrets in the first few listens; instead, he makes shadowy constructs– real enough until you try to get hold of them! I kicked off the show proper with Sabrina Siegel, more from her “Grace/Precarious” album which I am simply thrilled with. I have been telling everyone about this album, so if you haven’t got the clue yet, you’re dense enough for light to bend as it passes you. I also did an interview with Ms. Siegel, which I fear is being buried as I add entries to this blog. Go read it now! Noggin’s “Two Violins” string abuse was a good lead-out from the first few moments of Sabrina Siegel’s “Drop Bow Down Cello,” one of my favorite transitions lately. I always enjoy trying to make nice transitions between things– more than just fading one thing out and popping on something else, which is boring! Looks like Matt Weston ran with some of what I said about his previous discs not going “far enough to quite become a noise release”– he sent in a “cd single” (a format I don’t often see, personally) and the track “Holler” just about blows me through the back wall of the studio. I’m especially pleased to hear the editing work Weston has put into this track; disparate volumes, effected percussion, and lightning cuts all contribute to a more fully-realized example of what Weston is capable of. The second track, “Do You Hear Me?” (the b-side?) reminds me a little of a high school orchestra version of Reynols’ “10,000 Chicken Symphony, and that’s certainly not a bad thing. Hey, another Edgetone Records release! I play a lot of recordings from this label– and if you haven’t noticed, you may need to get yourself a full-brain scan. This week, I’m playing from Son of Gunnar, Ton of Shel’s self-titled album. Son of Gunnar, Ton of Shel is a duo; Aram Shelton and Steini Gunnarson. Earlier this week, I was listening to their triptych work, “Constitution (in three parts),” and was struck by how well these two perform together. I don’t often attempt to ‘break down’ what I’m hearing in my first few listens, but I’ll admit that I tried it here, with little in the way of results. There is definitely a lot of cooperation and group effort to produce these sounds, which is a nice effect. Here’s some of Andrew Barranca’s Gaybomb recordings: a live set, and some after-hours recording to boot. Oddly enough, I got a package from Barranca this evening, one of my stranger ones– two transparent, colored records; about 50 empty record sleeves, a bunch of packing peanuts, and a handful of jigsaw puzzle pieces. I tried putting the puzzle together, but it doesn’t appear that I have anywhere near enough pieces to form a coherent picture. I got five of them together, though… maybe next week, I’ll play these for you. Oh! Now here’s where being a DJ really pays off. I got to give a brand-new duo their first radio play, just days after they settled on a name. LATRALMAGOG (the name they settled on following a lengthy, involved process) is the improvisational work of Al B., and E.T., who can fill you in on the full story themselves at the “Of Sound Mind” blog. The full work is available for download there, as well as their two prior collaborative efforts here and here. Hopefully, the LATRALMAGOG recordings will continue, as they are quite enjoyable. Here’s the full download of this broadcast, as a single mp3 file, recorded from the radio stream. If you require any information about any of the artists or labels on this broadcast, don’t hesitate to ask me for assistance. Matt Weston — Do You Hear Me? A few moments ago, I visited MediaFire to check download stats for my shared broadcasts. I was specifically interested in last week’s show, as I had not yet seen the stats for this file. However, I never got to find out– my account has been removed, and all the files have been deleted. Despite having numerous albums available through one of my favorite labels (this being Pax Recordings) I only recently became aware of Sabrina Siegel’s work; through her latest Pax release, “Grace/Precarious,”which features solo explorations for cello, electric guitar, and voice. This is an album that truly earns the description “visceral,” for it is not only Siegel’s heart that is engaged in the creative process, but her body– with each track reflecting a different sort of physical struggle to balance creation against failure. It’s a remarkable album, which has quickly moved onto my short list of all-time favorites. Being the sort of person that I am, there was no way I could hear “Grace/Precarious” and not come up with at least a few questions for Sabrina Siegel. Once you’ve heard it, you’ll understand why. STARTLING MONIKER: I am really enjoying the “Grace/Precarious” album, and my first thought is about how this concept occurred to you. What’s the back story? SABRINA SIEGEL: I’m so glad you are enjoying…… Well, the concept is really just a way to think about or name the relationship of the forces at play when i play instruments in general. And i can say the way i perceive the way i live and practice visual art as well…. perhaps it is the way everything goes in life. 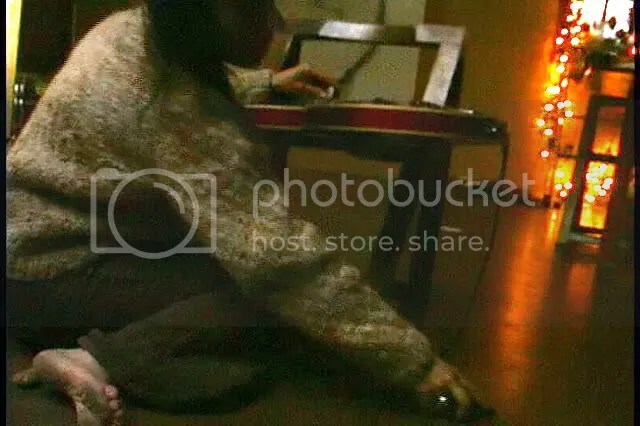 It is the way i play, always in improvisation and experimenting with difficult to controllable extended modes of playing(such as playing electric guitar with a pile of rocks, some of them very large). 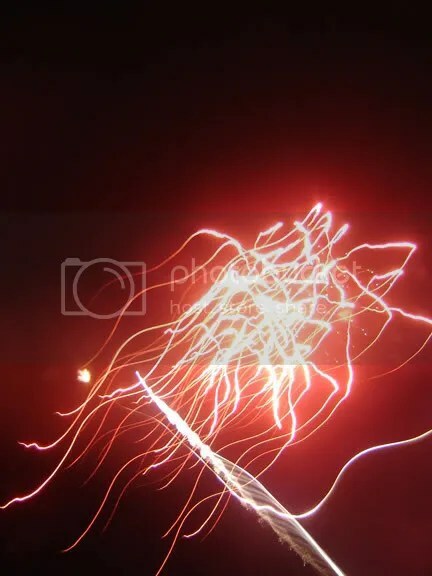 It is all very spontaneous, raw, natural, moment by moment, sound by sound and finding/creating mastery or balance or grace or flow in the precarious sound-creating situation at hand. One could liken this way perhaps to Jackson Pollock’s action painting, where an unconventional beauty and visual compositional balance was achieved through a grosser and seemingly less controllable mode of applying paint to canvas. SM: As a liner note enthusiast, I’m sort of let down about not knowing the “setup” for more of the tracks. “Drop Bow Down Cello” seems pretty straightforward, but most of the others are far more difficult to figure out. In fact, without the press sheet, I don’t think I would have put it together with the title. With such an interesting process, why hide it? SS: Well, i didn’t mean to hide anything. i did try too point to it with the little poetic writing that i did include. Maybe this leaves more space for the listener to imagine the situation and sounds as well? “Fire” is singing as if flame, with the fire that is alive in the fireplace right there. “I am the bow” is playing the cello with the hairs of the bow (pulled off my ruined bow) between my hands. “Big electric rose” is playing the electric guitar with rocks with an external pickup clipped on, as i had lent my cord to my neighbor and so could not utilize it’s built-in pickups (actually only one of them works, and i like the sound quality it gives this way), the recording device itself was also in a precarious situation as it was cutting out or something, creating several unusual slight rests and a few other interesting and mysterious artifacts in the recording. “After your voice” is simply an emotional or visceral response to the interruption (or one could even think of it as the punctuation) of my recording session by a friend’s voice on the answering machine. …………to identify a few for you. SM: I find that I can think of “Grace/Precarious” in at least two manners– as a musician struggling to achieve a sound and failing in many interesting ways; or as an example of a musician using an interesting process to ‘call out’ these interesting “failures”. In the first manner, the album is full of ‘mistakes,’ but obviously not in the other manner. Do you find either of these viewpoints more relevant than the other?SS: I think that both of these ways relate to the process… perhaps the second one more so. you could think of those sounds as mistakes or just the next sounds in the work. 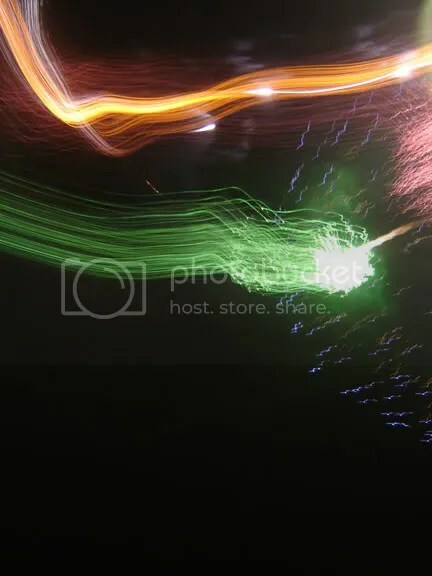 (Perhaps this is a more valueless process or the values or way of “judging” is different, more open and active……….. to embrace all sound, all expression as what is, as what has come forth for some reason and so is of value and is something to work off of and enjoy. One could take this way and apply it to one’s whole life…….. accept what comes and work with it.) I could tell you that because i am not in complete control of what i am doing i use my body, ear, hand to come close to what i imagine would be the next sound that i would “want”. SM: Did any harm come to your instruments? I am particularly worried about the cello. SM: An argument could be made that, like a recording using extended techniques, this album uses ‘extended situation’ or ‘extended setting’. While field recordings certainly offer setting as a point of importance, “Grace/Precarious” may be the first to use setting in this way. What are your feelings on this? SS: Wow………..I think it is great that you ask this question! I have thought of and written of “situationist” playing, where the situation is a very personal experience, with all the contents of and encounters of a singular being/beings, the individual musician/musicians with what ever is happening and related to the sound…… strengths, weakness, personality, mind, body, thoughts, the space that one is in; the “musical situation,” all of what is there in this singular moment. I think this opens “music” up, sound/noise wise, time wise, content wise, and creates a more dimensional and intimate musical experience for both musician and listener. SM: Have there been any live performances of the album? SS: Well it’s all just improvisation and so there really couldn’t be another performance of the album (aside from when it was recorded…but i was alone…..some of it on video) or any of my albums…..it wouldn’t be the same thing. i could repeat similar set ups for playing though…. but i’m not into repeating. SM: The word “grace” has many meanings– the quality of elegance, a favor bestowed, or even a religious concept of a god’s strengthening influence. What is your reading of this word, and how does that relate to the recording? SM: This is the first album of yours to find me, and possibly my listeners as well. What have we missed, and where could we find it? SS: There are fifteen or so albums that i (and Pax Recordings) have put all on cdbaby online, and so they are available as well on itunes and other digital distribution sites. There are three other solo albums of electric guitar played with rocks and one album of a work that i made from a recording in rural upstate New York that i think is very special in it’s meditative quality(intense one though) and experience of the perfect sonic compositional nature of Nature (the world and the way things go/flow) called “G-d’s Music (fill in your name)”. There are four albums with my duo with Charles Coxon (SIECOX), and the rest are with “experimental” ensemble Onomatopoeia, which utilize pseudo pop elements, giving a very pop first hit, but are very “situational”, all improvised, interesting, and intimate in that i sing as well – the latest one is called “The Quality Of Flowers”. SM: Any projects/albums/performances on the horizon? SS: I have several projects on the horizon. One most important one is raising my new beautiful son Isidore, now six weeks old. there is another SIECOX album, and a Sabrina Siegel and Onomatopoeia album to come. There is a work made from a recording of a six mile bike ride with an autistic girl that i have worked with that i think will be called “Biking and Swinging with Sara” (exploring the musicality of moving through space and time this way, with the wind, repetitive bike sounds, repetitive conversation, etc.) 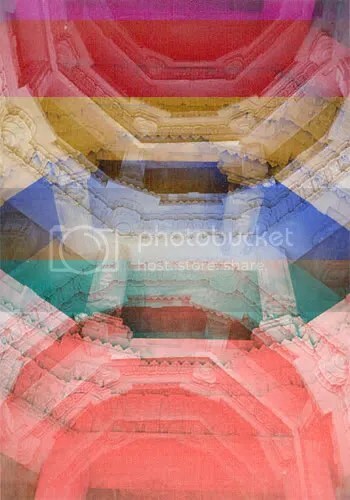 There is also the project of finding gallery representation for a new photographic project that i am calling “Natures Recompositions”, which are large prints made from high resolution scans of photographic slides that i left out to Nature for four years……. they are a visual illustration of grace/precarious! 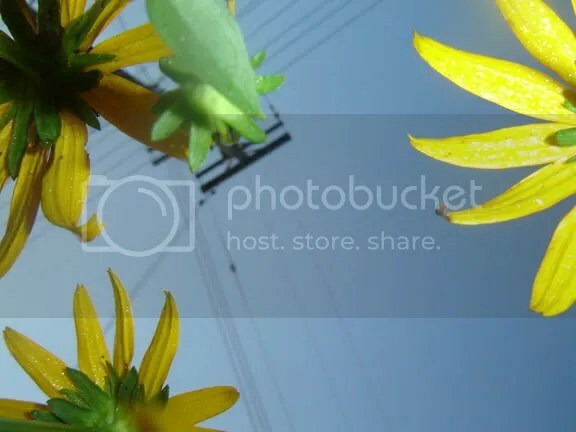 They (a gift of Grace) show how perfect nature is in it’s compositional beauty, as microscopic plant, crystal, and insect life moved in on the gelatin emulsion and lived a “landscape”, as opposed to a photographic eye’s framing a landscape. They look, on first view, like abstract expressionist works. I have also been working on a film about Friedrich Nietzsche for a while that i hope to finish before too long. As for performing, Onomatopoeia and i will be performing in Portland, Oregon in December in the Lunar Music series………… For now. SM: What albums or artists are you excited about right now? SS: Right now i’m excited to hear a new release of Erik Satie’s music that i heard about, with his more avant-garde works on it. I’m excited listening to my tape of Victor Jara again, that has been lost for a few years. He is so tremendously beautiful and dimensional in his voice, and words and what he stood for. i am also excited for Charles Coxon to release his “Crab to Sun” album soon, with it’s very special poignancy. Well, we’re nearing up on Free Slurpee Day, and once again I’m nowhere near a 7-11. Luckily, I can still broadcast, or I’d go completely mad. As usually seems to happen these days, I’ve started the show one half-hour early… letting this new rst disc “Axes” from Last Visible Dog Records have a little long-form action. And yes, I spelled that right– rst– and all lower case, too! It’s like a Google nightmare. I’m happy to finally be hearing this disc in a stationary position; all my previous listening sessions had been while driving. Let me just say that “Axes” is full of those little droning sounds that start making you think your car is falling apart, starting with some obscure belt. Cool stuff, but hard on paranoid car owners, haha.